This is band sealer machine to seal the pouch . Founded in the year 2008, in Faridabad (Haryana, India), we, Varsha Machines are a well-known manufacturer, trader and supplier of an extensive array of Semi Pneumatic Machine Auger Filler For PLC Based, Auger Base From Fill & Seal Machine, Pneumatic Machine With Controller Based, Semi Pneumatic Machine Cup Filler For PLC Based and Pneumatic Collar Type Machine With Screw Conveyor. 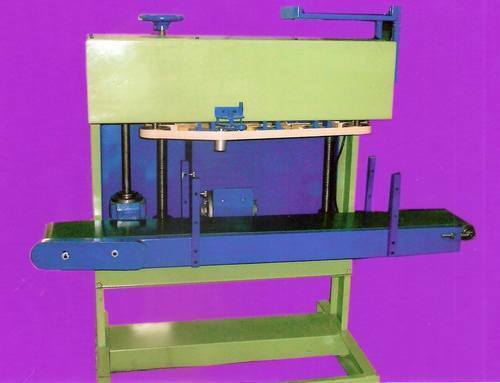 The offered machines are manufactured with the help of supreme quality components and advanced machines in compliance with set industry norms. Our offered machines are widely used in number of food processing units and pharmaceutical industries for packing products like talcum powder, spices, granules, biscuits, chocolates, etc. These machines are strictly checked on every stage of manufacturing by our quality controllers assuring their flawlessness at user?s end. We offer these machines in different technical specifications as per the information laid down by our clients. Our offered machines are highly demanded by our clients due to their high working efficiency, robust construction, low maintenance, low power consumption, high speed and durability.